Listing courtesy of Rayni Williams (CalBRE #01496786), Hilton & Hyland. 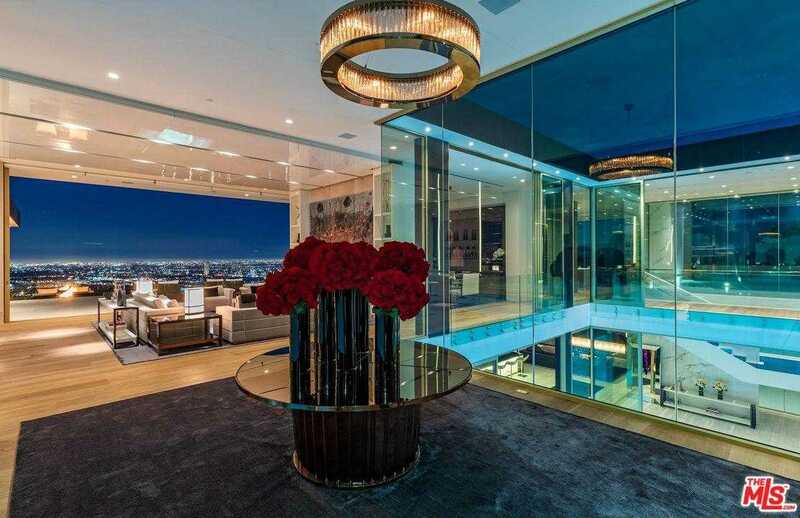 The most spectacular modern house ever constructed in the prestigious area of Beverly Hills?. Trousdale. This modern space station has the most explosive views in all of Los Angeles. Hovering over the 50-yard line of the city of Angels, the best of both worlds, the entertainment of the legendary Sunset Strip and the finest amenities of 90210 and Rodeo Drive. Architecture by world-renowned architect, Paul McClean, the master of space, light and flow. Features 2 pools, 2 kitchens, oversized theater, wine cellar, billiards room, car museum and audio & visuals that channel Ziggy Stardust ground control to Major Tom. Fully furnished by the most exquisite forward thinking designs that Italy has to offer. Here’s your chance to live in your own galaxy. Building size: 20000 sq ft.